If your blood pressure is equal to or greater than 120/80 mm Hg, you may be diagnosed with prehypertension or hypertension. Hypertension is expressed as high pressure in your arteries. What is hypertension? Hypertension is the condition of high blood pressure. Stage 1 hypertension is now defined as blood pressure measured and expressed as millimeters of mercury (mm Hg), read from a blood pressure monitor 120 systolic over 80 diastolic or 120/80 mm Hg. There are different stages of hypertension. Sage 2 hypertension is defined as ≥160 systolic over 100 diastolic mm Hg, and hypertensive crisis is defined as blood pressure reading ≥180 systolic over 110 diastolic mm Hg. All stages of hypertension are serious and can put you at an increased risk for damage to your heart, arteries, brain, and kidneys, among other organs and systems in your body. Does exercise alter blood pressure? Exercise, along with a good diet, is effective in lowering high blood pressure and maintaining healthy blood pressure. Duration, frequency, and intensity of physical activity plays a strong role in the effectiveness of exercise as related to circulatory system and heart health. Regular physical activity for 30 minutes or more, for adults, and 60 minutes or more for children and adolescents, everyday, within a prescribed exercise intensity or heart rate zone, meaning moderate to vigorous exercise or physical activity is most effective for maintaining ideal blood pressure and heart health. Exercising within a proper and safe exercise intensity helps your heart to maintain or improve it’s strength, as a result, it’s endurance, which helps your heart to accomplish it’s job of pumping blood throughout your body less stressful over time. It has been determined that if you are within the prehypertensive range lowering your blood pressure by as little as 4 to 9 mm Hg can greatly reduce your risks for additional illness, disorders, and disease. Added benefits of exercise include weight loss, body fat reduction, improved cardiovascular strength and endurance, stress relief, improved muscle strength and endurance, improved mental focus and emotional health, and improved bone health, among several other benefits. Examples of physical activity that can be beneficial to heart health and, specifically, lowering your blood pressure for you if you are classified as prehypertensive or hypertensive begin aerobic activities performed within your prescribed target heart rate including walking, cycling, or swimming. In addition to aerobic exercises, strength building exercise or resistance exercise should be performed twice a week. The duration and intensity of the physical activities or exercise remains the same as described above, however, the frequency is lowered to a minimum of two resistance exercise sessions per week. Speak with a qualified exercise professional to help you determine the exact types of exercises that can be most effective for you. That said, it is important that when you exercise with resistance, emphasis on moderate weight and appropriate repetition range is essential. The recommendation for repetitions of specific exercises, falling within your prescribed target heart rate, should be performed 8 to 12 repetitions per set of exercise. 1. “Understanding Blood Pressure Readings.” Heart.org. American Heart Association, Inc, 4 Aug. 2014. Web. 6 Oct. 2014. 2. “High Blood Pressure Dangers: Hypertension’s Effects on Your Body.” Mayo Clinic. Mayo Foundation for Medical Education and Research, 18 Feb. 2014. Web. 6 Oct. 2014. 3. “Blood Pressure Normal? Maybe Now It Isn’t.” Harvard Health Publications, Harvard Medical School. Harvard University, 24 Nov. 2013. Web. 6 Oct. 2014. 4. Headley, Ph.D., FACSM, S. “Living with Hypertension.” ACSM. American College of Sports Medicine, 19 Jan. 2012. Web. 6 Oct. 2014. 5. “High Blood Pressure Facts.” Centers for Disease Control and Prevention. National Center for Chronic Disease Prevention and Health Promotion, Division for Heart Disease and Stroke Prevention, 7 July 2014. Web. 6 Oct. 2014. 33% of American adults have prehypertension. 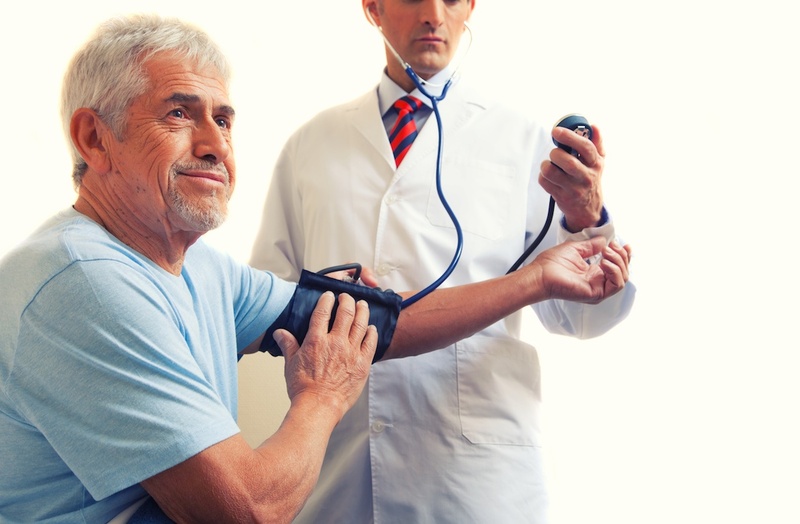 67 million American adults, 21% of the current population, have high blood pressure. 70% of people having their first heart attack have high blood pressure. 80% of people having their first stroke have high blood pressure. 70% of people with chronic heart failure have high blood pressure. Are you interested in the effects of exercise on hypertension? Are you interested in learning about the benefits of exercise for people with high blood pressure? Consider hiring a personal trainer. If so, please visit our homepage and use the “find an instructor by city” search bar.